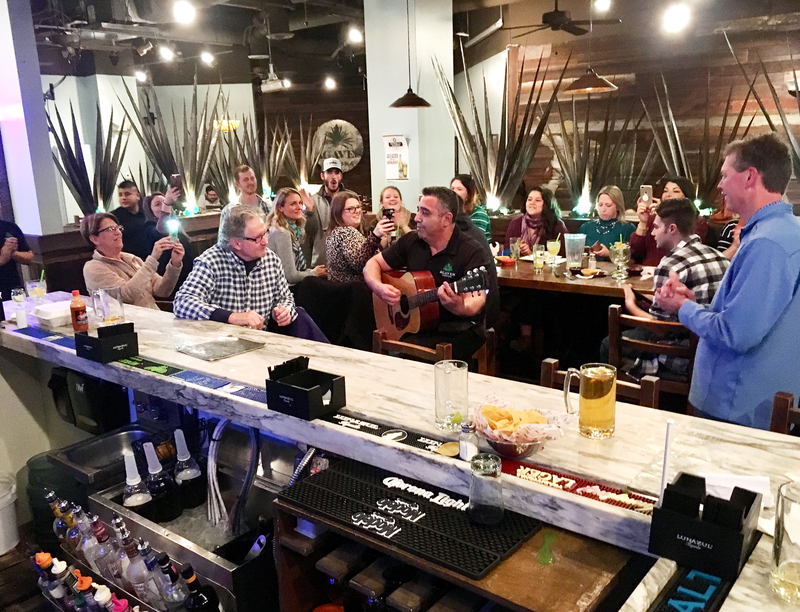 What started out as a “Feliz Cumpleaños” house gesture for 15 guests at birthday gathering at Daniel Island’s Agaves Cantina last month turned into full renditions of “Feliz Navidad,” not only sung by the entire restaurant, but led by the stunning voice of Mario Palacios, an Agaves Cantina server and bartender. Soon, kindhearted patrons who witnessed the singing began saying “Agaves’ Got Talent,” mimicking the popular “America’s Got Talent” tag line from the singing and dancing show on television. “When this fellow started singing, we were all mesmerized!” said island resident Baron Christopher Hanson, who was enjoying dinner at the restaurant that night and captured this photo.